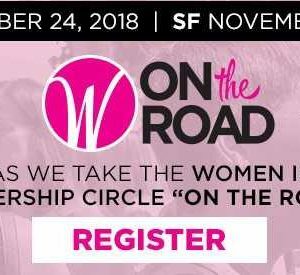 Women In Retail Leadership Circle | It’s Women in Retail Leadership Circle: On the Road Season! It’s Women in Retail Leadership Circle: On the Road Season! As you read this, we’re hard at work setting up for our first Women in Retail Leadership Circle: On the Road event in New York City. The event, taking place at the Stewart Hotel, will feature fabulous keynote speakers, panel discussions, pop-up shops, unique networking opportunities and, of course, swag bags. We will be talking about the event all day on our social channels, so be sure to follow us along on Twitter and Instagram. In addition, we plan to post articles, videos and podcast episodes from the event in the coming weeks, so keep your eyes out for them! Lily Kanter, CEO, Boon Supply Co. There are only 12 seats left for our San Francisco event, so make sure to register today! And if you have any questions about the event, please feel free to drop me a note at mcampanelli@napco.com. A Little WIRLC: On the Road Inspiration Some of Our Favorite Moments From On the Road: San Francisco Introducing Jane Elfers and Diane Dietz! Speaker Squads Set for Girl Talks!